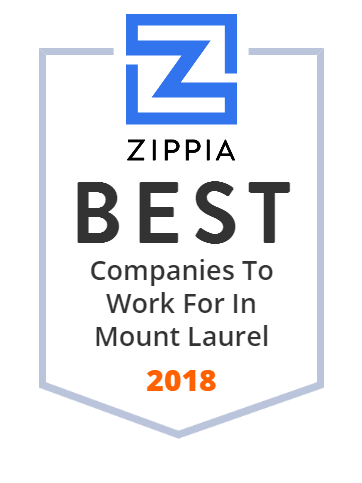 We hand-curated a list of the best companies to work for headquartered in and around Mount Laurel, NJ using data on salaries, company financial health, and employee diversity. kubik maltbie has been producing extraordinary experiences for museums, visitor centers, and specialty projects globally for over 50 years. Let's get to work. Over 10,000 people recovering lives daily through proven addiction rehab programs. With locations in Minnesota, Michigan, Indiana, Ohio, Kentucky, Pennsylvania, Virginia and New Jersey. Stewart, A Xerox Company, is one of the region's largest and most respected business technology consultancy firms. Stewart provides the largest portfolio of technology and services for any size company, focusing on document driven companies and industries - from healthcare organizations, manufacturing companies, legal firms, school districts, non-profit organizations and financial service institutions. To bring comprehensive solutions to the market, Stewart strategically partners with innovators and value-added suppliers. AUS, Inc. provides consulting, market research, and intellectual property services for energy, water, and telecommunications industries worldwide. It offers services in the areas of utility consulting, rate of return analysis, depreciation and capital recovery, revenue requirements, cost of service, rate and tariff design, and valuation consulting. The company also engages in tracking intellectual property news and licenses related to technology (patent, know-how, trade secret, and business method), software, trademark, trade name, brand or logo, copyright, and right of publicity; market and survey research; and providing market intelligence services. In addition, it provides products, services, and information solutions designed primarily for the survey research community; and services in the areas of general capabilities, telephone interviewing, interactive voice response, mailing and scanning, B2B research, omnibus, mixed mode methodology, and online research. AUS, Inc. was founded in 1967 and is based in Mount Laurel, New Jersey.